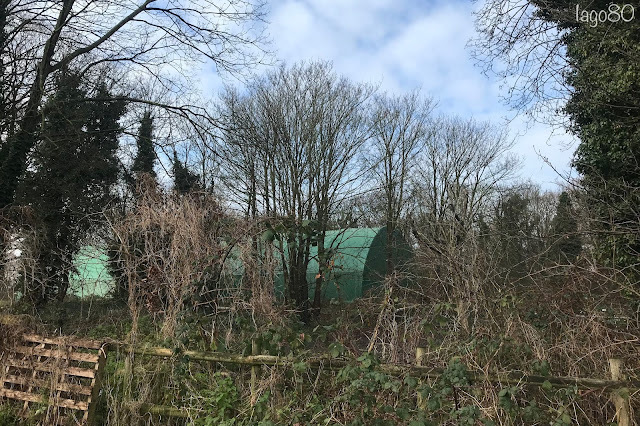 The Stables in between Wanstead Park (right next to Perch Pond) and the entrance to the Old Sewage Works has to be one of the most reliable locations for over-wintering warblers on our patch. I've had more January Chiffchaff and Blackcap there than anywhere else. 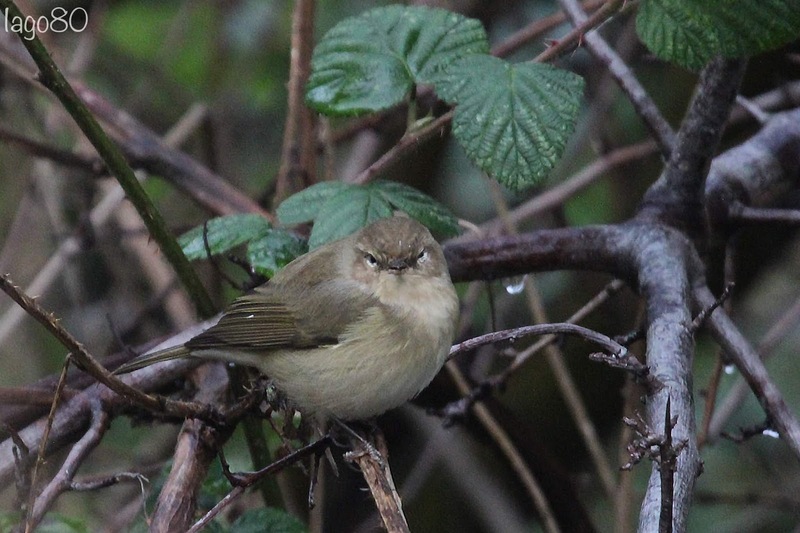 Several of my patch-working colleagues had already added Chiffchaff to their 2019 lists, but as the straggler with a new baby, when I heard from Tim that there was a chiffy in the area, I thought I would drop by today. I was on my way elsewhere so was in the car. As soon as I parked and got out, I saw a Chiffchaff. It came pretty close. Close enough for me to see that it had a slightly dodgy eye. Great. 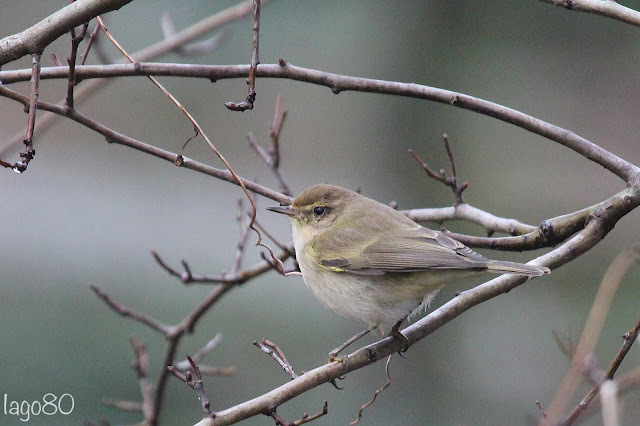 Always good to tick off Chiffchaff in January. Job done. But then I saw another. I had my camera ready anyway so I fired off a few shots as the two birds moved low around the hedges and then flew higher up in a tree to fly-catch over the manure heap. I noticed this second bird was duller, but they had moved on before I could give them too much thought. In the whole time I was with them, neither called once. Back at home, looking at my pics I noticed that the second bird wasn't just duller, but had a distinctly grey tone. 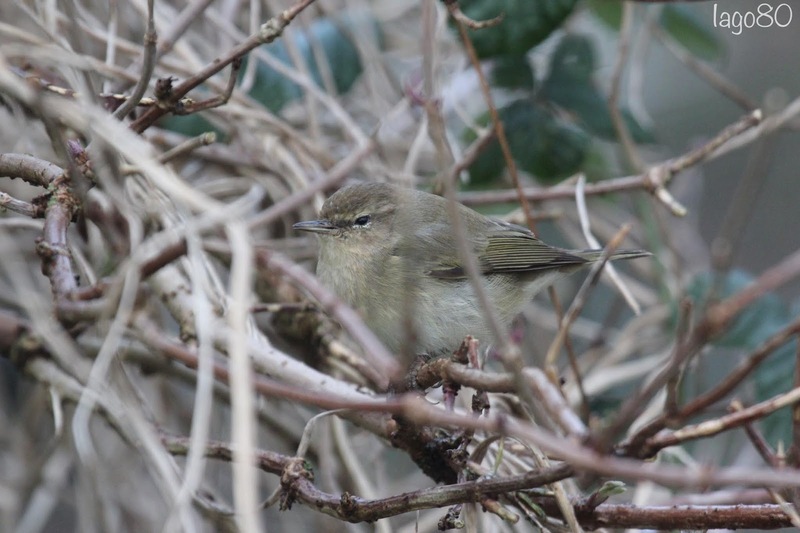 Candidate for Siberian Chiffchaff? Buff supercilium, grey in mantle, but green in wing look good for P.tristis, but the lack of brown tones seems to point against (although in the photos below the ear coverts do seem a bit brown-tinged) and perhaps there is a bit too much olive in the crown and mantle. Things got even worse when Nick re-found it and said it called like P.collybita. Maybe P.c.abietinus? Maybe just an aberrant P.collybita? Could P.tristis still be a possibility? 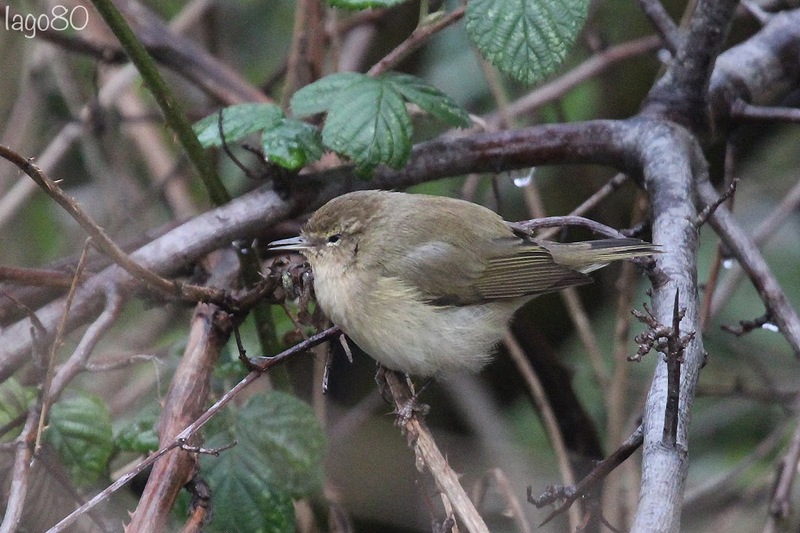 I don't know, but I do know that it is an interesting Chiffchaff and spiced up my day a little. Here are two more pics of the same bird. As always, any thoughts or comments welcome.